Welcome to SQUILT Lesson #3. 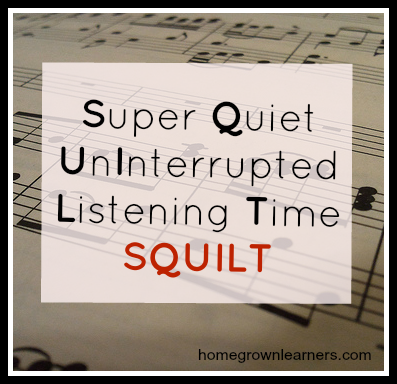 SQUILT is a simple, quick way to incorporate quality music into your homeschool. If you are unfamiliar with SQUILT, please read the very first lesson to find out more. For a full listing of SQUILT lessons, click here . This selection is inspired by a piano assignment for my 11 year old. She is playing the piano arrangement of Also sprach Zarathustra, a tone poem by Richard Strauss. You will know this piece as being from A Space Odyssey 2001 and also the theme music of the Apollo Space Program. It, however, is so much more than a heroic little soundbite. The listening for today is actually just the first minute and a half of the larger piece - this opening section was called "Sunrise" by the composer. Richard Strauss and Hitler's Reich - from the NY Times - I find this fascinating to learn about Strauss' involvement with Hitler and how Strauss sought to protect his Jewish daughter-in-law and grandchildren. My daughter latches onto the personal side of composers, and Strauss is very interesting. Download the SQUILT printable and you are ready to begin. Again, please have your children listen quietly one time. I would NOT let them see the video -- just listen. You will want to stop the video at 1:40... that is end of the "Sunrise" section. The rest of the piece is lovely and you can listen to that later if you wish. The piece starts very softly, then swells (this is called a crescendo) to get much louder. The percussion and brass contribute to this grand sound in the beginning. By the way -- here's a Wikipedia article about dynamics in music. The music moves slowly and quickly. My son simply wrote "I think it is both". Older students will notice the pattern of the timpani (kettle drums). Every family of the orchestra is used in this piece: Strings, Woodwinds, Brass and Percussion. Your child will mostly hear the brass and percussion. Highlight the TIMPANI - which are also known as the kettle drums. These drums can be tuned to different pitches, so it's not as simple as "beating on a drum" -- I took timpani lessons in college and it was not easy! Also, can you hear the pipe organ? I know you can see it in the video, but really listen for it. I think a great word for this piece is VICTORIOUS! Encourage your childre to think of descriptive words for the piece. 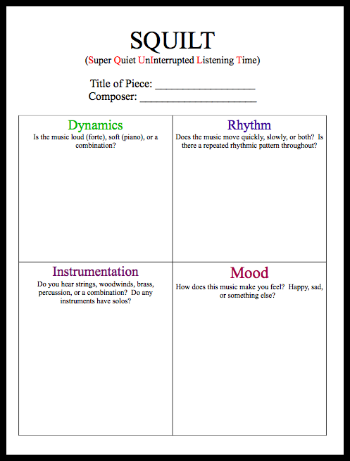 If your child wants to extend the lesson, offer them a Composer Notebooking Page... research and learn more about Strauss. He's very interesting. I hope this lesson has been useful to you. Please let me know if you have any questions about studying the music!